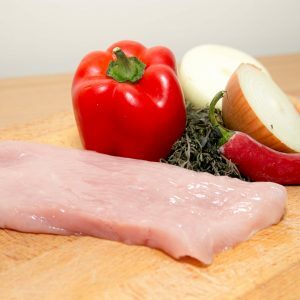 100% chicken breast boned, skinned and trimmed with less than 1% fat. Very high in protein and low in fat. Great for making stews and curries.